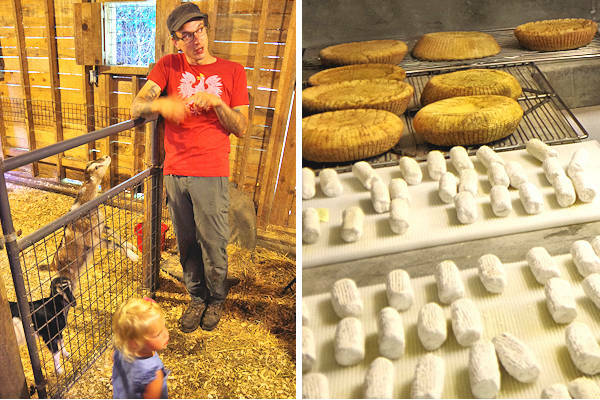 Take a guided tour of North Carolina's first Grade "A" goat dairy to see how they create delicious cheese and milk. 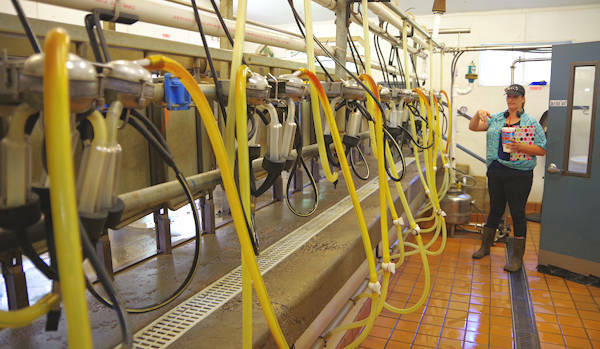 During the behind-the-scenes look, you'll learn about the sophisticated process and state-of-the art equipment inside their modest farm buildings. The highlight is going into the pastures to meet their 150 goats! They are located about 10 miles south of Black Mountain (about 25 miles from Asheville). Their pampered Alpine and LaMancha goats love to meet visitors! Since their twice-a-day milking is early and late day, they are usually frockling in the pastures during tours. Their cheese starts with vat-pasteurized cold fresh goat milk. Cultures are carefully selected and cheeses are places in an climate controlled aging room. We are lucky that Adam and his team enjoy taking time to share their passion and love for the goats! 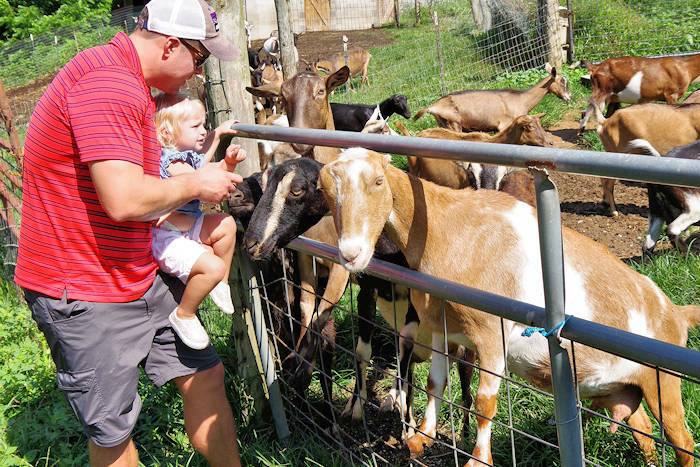 Most farms are not open for visits. 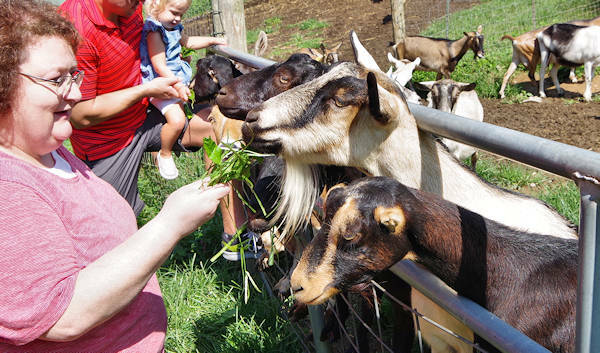 At the end of your tour, taste their milk and many flavorful soft goat cheeses. Our favorites are From the Garden, Delicious Dill, Jazzed Goat, Smakin' Garlic and Cran-nut Zest. Their Nutty Blueberry is a state fair bronze medal winner. 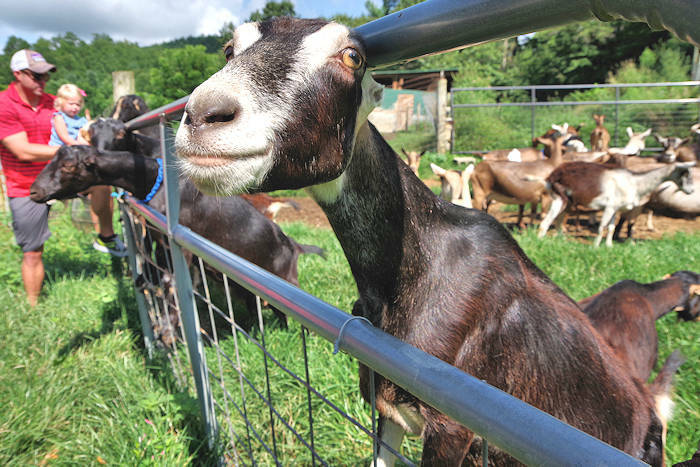 With the distinction of being the first combined dairy goat farm and Grade A goat milk processing plant in North Carolina, they are closely regulated by the NC Department of Agriculture and Consumer Services Food and Drug Protection Division. For guided tours, you must make an appointment since they are a small operation. 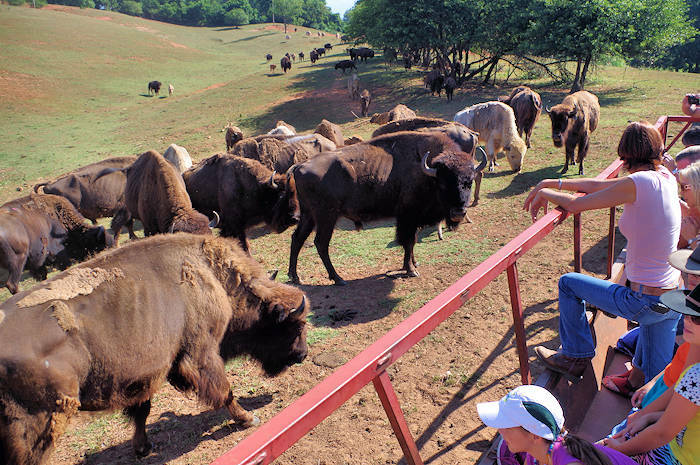 One-hour tours are available Wednesday-Saturday, weather permitting. Cost is $8/person and includes a tasting. Children under 3 are free. 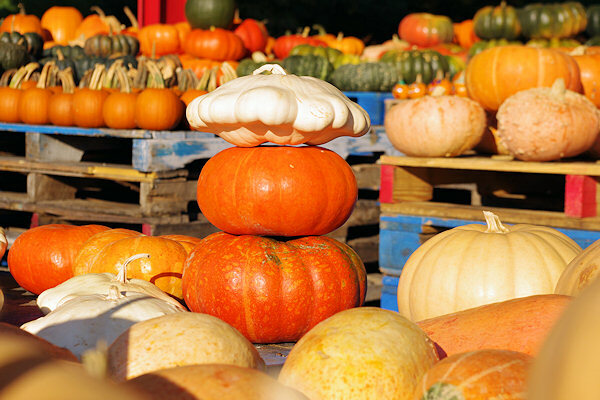 Read more about things to do in Black Mountain. 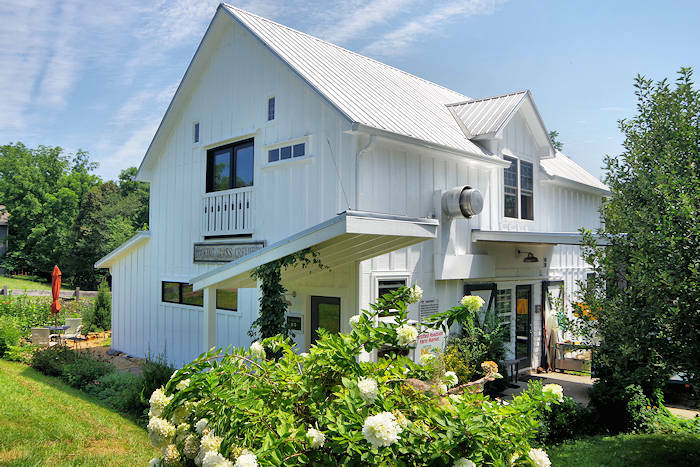 Also see more farms to tour. Location: About 10.5 miles south of I-40 in Black Mountain via NC Highway 9. GPS Address: 2203 Old Fort Road, Black Mountain. They are also just 10 miles from Chimney Rock.